It would be a shame to visit the Basque Coast and miss out on the virtues of its seawater in one of the region’s thalassotherapy centres. Especially as there is such an amazing choice of places to go in Biarritz, Anglet and Saint-Jean-de-Luz! Overlooking the beach, the Thalasso Serge Blanco in Hendaye offers a wide range of treatment packages for non-residents and for all types of objectives: getting back in shape, silhouette, prenatal and postnatal, slimming, anti-stress, wake up to sport, as well as an à la carte menu of massage and spa treatments (Carita) to choose from. In the bay of Saint-Jean-de-Luz, the Helianthal centre is an absolute Must: its wide range of facilities includes a 300m² seawater pool and a spa that offers skincare treatments by Sothys and slimming treatments by Thalgo. Next stop Thalassa Sea & Spa in Biarritz where you can enjoy a day-long package with thalassotherapy or spa treatments, group classes and access to the centre’s facilities: heated indoor seawater pool with many water features, heated outdoor seawater pool, hammam, sauna and the gym overlooking the ocean! 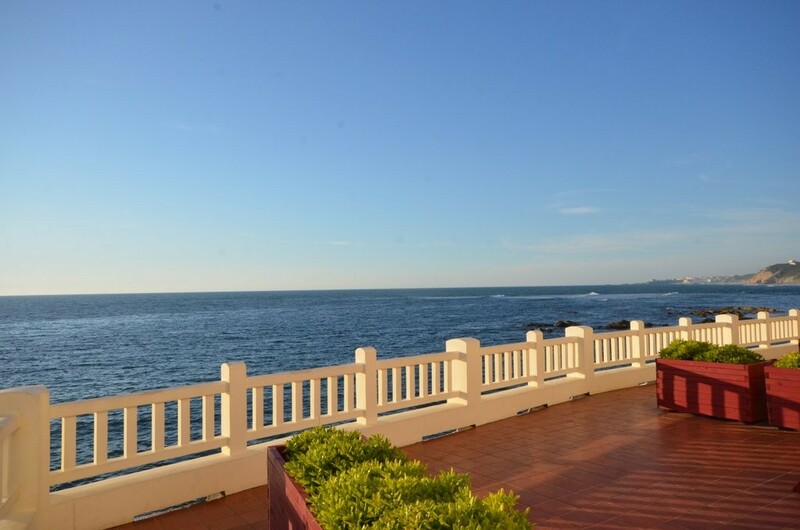 Still in Biarritz, the Thalmar thalassotherapy centre overlooks Marbella beach. Here you can enjoy thalassotherapy treatments and the centre’s seawater pools spreading over 350m² and its star feature: the gym with the most stunning view of the ocean and dynamic class schedule. Last but not least, the beach-front Atlanthal in Anglet at Les Cavaliers overlooks the Chiberta Golf Club. The centre features indoor and outdoor heated seawater pools and a large choice of thalassotherapy and spa treatments (Phytomer, La Sultane de Saba, Vie Collection).